The best thing about having your own home is that you can do what you want to it. It's been a while since I my last bedroom tour and things have changed a little. 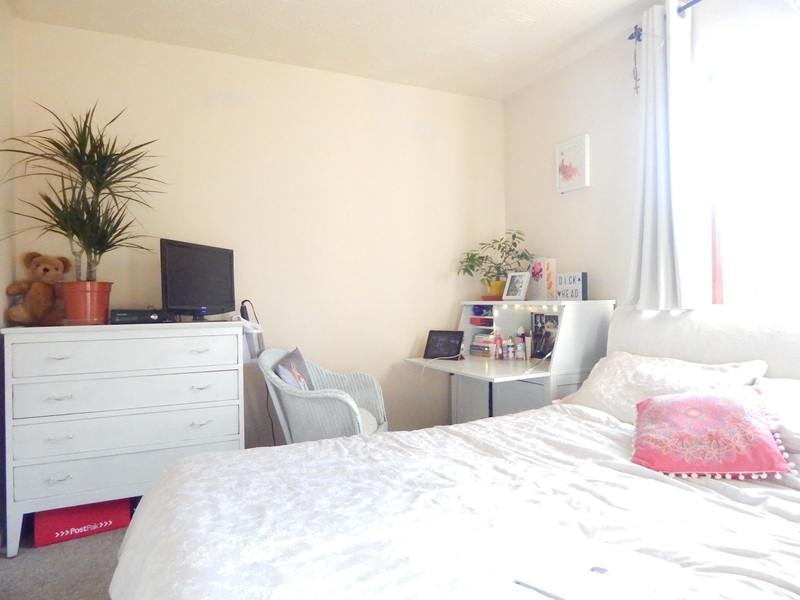 Not being loaded means that it takes a while to buy stuff for the flat, the bedroom is the first room that we (I) started styling as there was a lot to be done with updating furniture but has all the furniture we need nonetheless. In the last post about the bedroom, everything was white which started to feel a little clinical after a while. Also, the lack of double glazing meant that the window was getting quite a lot of condensation and we were a little concerned about mould and damp. We all know that plants love moisture so popping on in the windowsill made perfect sense and being an west facing window, little plant gets all the sunshine it needs. The burst of colour from the plant triggered (so glad I got to use that word in a post) a slight obsession with plants and the bedroom is becoming something that could resemble a greenhouse. We got this beautiful plant to from Homebase for £12 (plants can be quite pricey y'know). 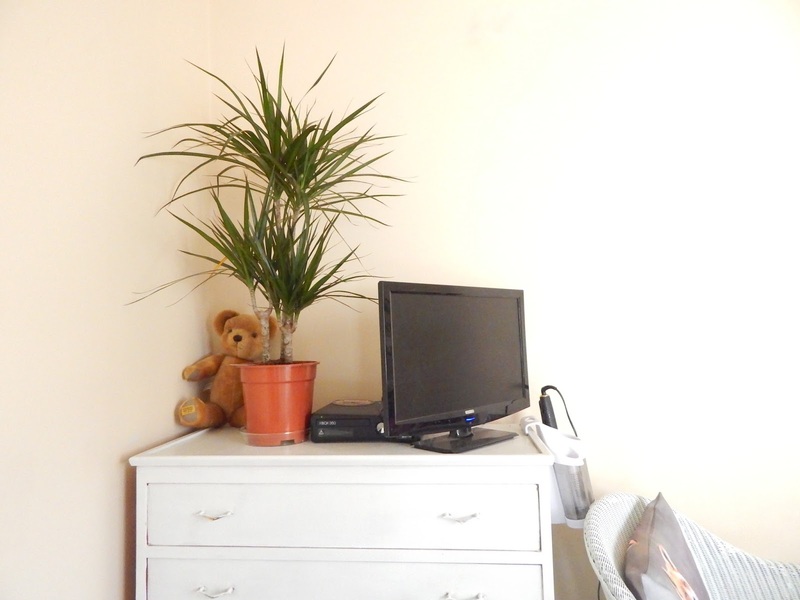 I wanted a large plant to take up the space behind the TV on the chest of drawers - TV's are ugly and the huge plant certainly distracts from that and takes up that completely pointless space perfectly. There's a couple of shops who are killing it with homeware lately, Primark being one of them. 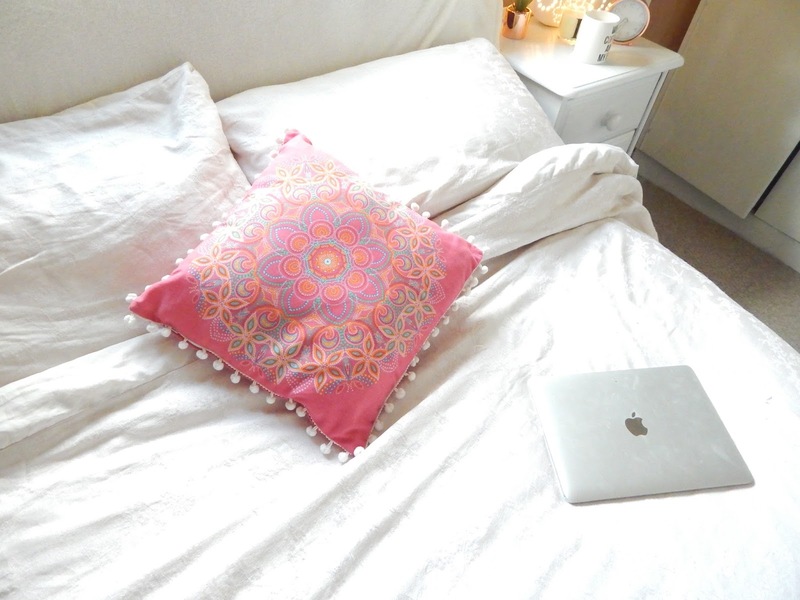 I picked up this bright pink boho style patterned cushion from there for around £8 I managed to resist buying the matching candles, throws, cute wall art and plethora fairy lights. The pop of green in the cushion compliments the plants and I pretty much love anything with tassles or pom-poms. 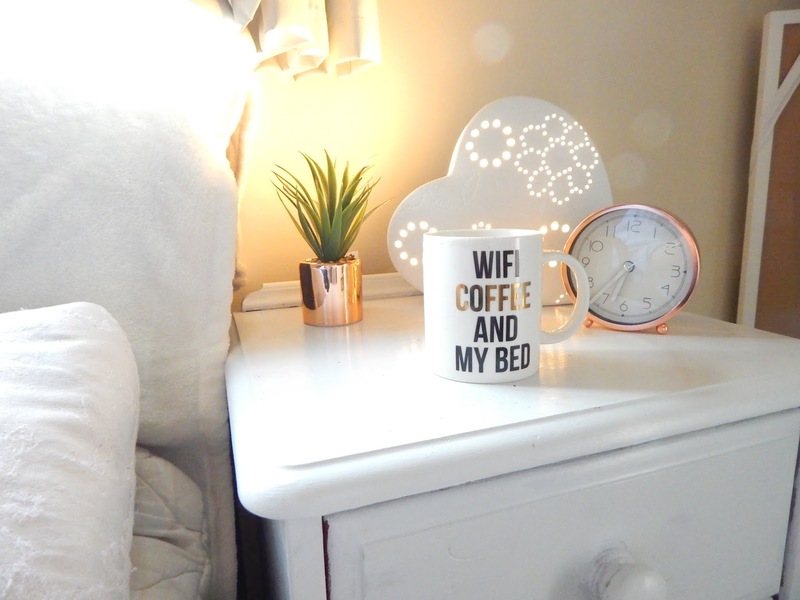 Speaking of shop's homeware collection, can we all just give Newlook a standing ovation! Their current selection of homeware is outstanding and now a sworn enemy of my bank balance. The Bedford store has a few displays cleverly placed near the tills and have sectioned the various items ranging from candle holders, picture frames and lightboxes into categories. The stand that caught my eye was the copper-themed display and I couldn't resist buying this alarm clock and (fake) succulent. You can't be a blogger and not jump on the copper bandwagon, amiright? As well as looking pretty fine, the clock also works pretty well as an alarm clock with on point beeping at 6:30am however, it's too pretty the launch across the room or, at Luke's head so well done Newlook. My little old Beauruo has also has a little makeover, on top now sits a miniture lemon tree that actually produces cute little lemons and smells beautiful. 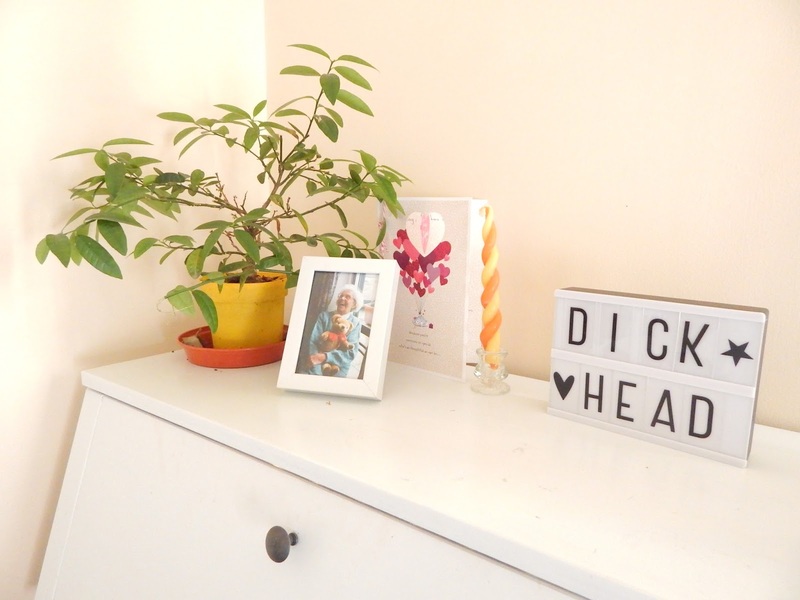 Next to this a photo of my Greatgrandma (because she's a legend) and the amazing £10 lightbox from Newlook proudly displaying my favourite word. The inside of my beaureu has also had a little makeover. 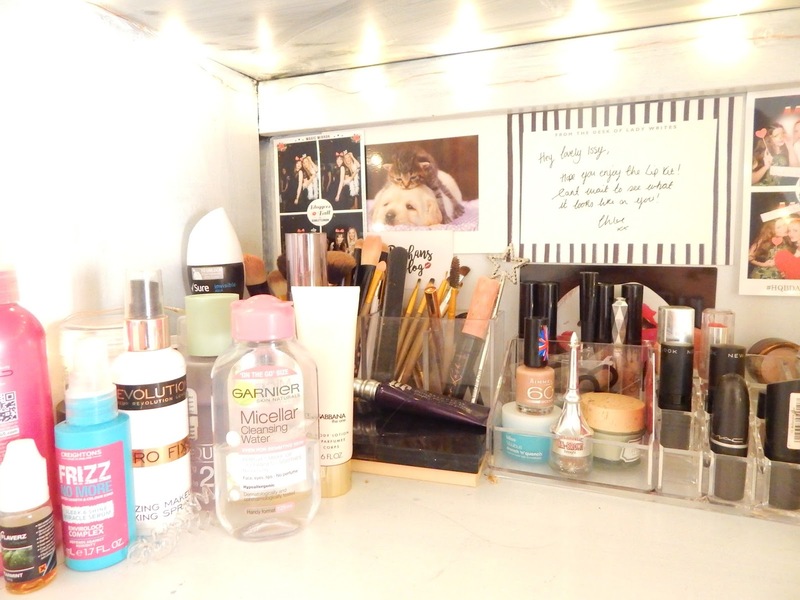 After receiving some lovely blogger mail from fellow bloggers as well as making some amazing memories forever frozen in photobooths with the addition of some oh so cheap Primark fairy lights I have created a little shine to blogging - creepy right? 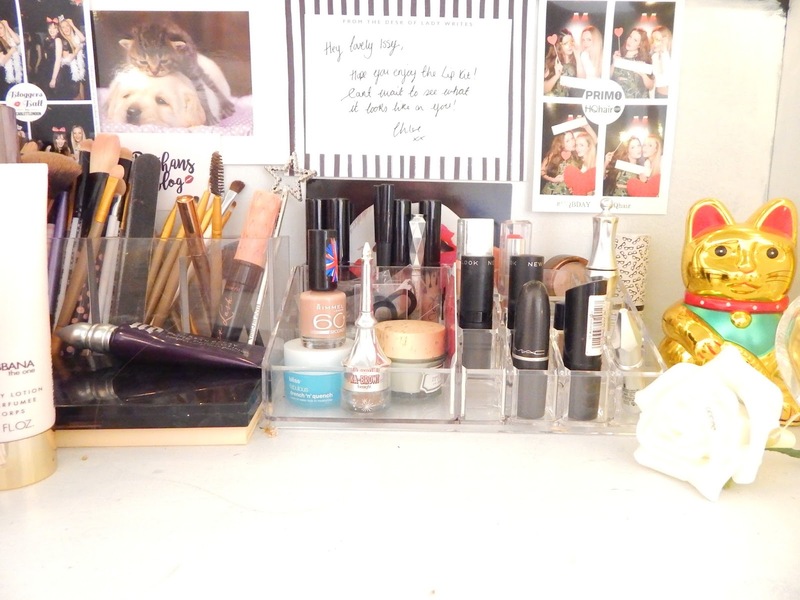 I finally caved and come some acrylic make-up storage in TKMaxx; seeing all my most used items neatly displayed not only makes me feel all warm and fuzzy but it also pretty practical when it comes to that I'm-half-an-hour-late-and-panicking make up look that I so often go for. 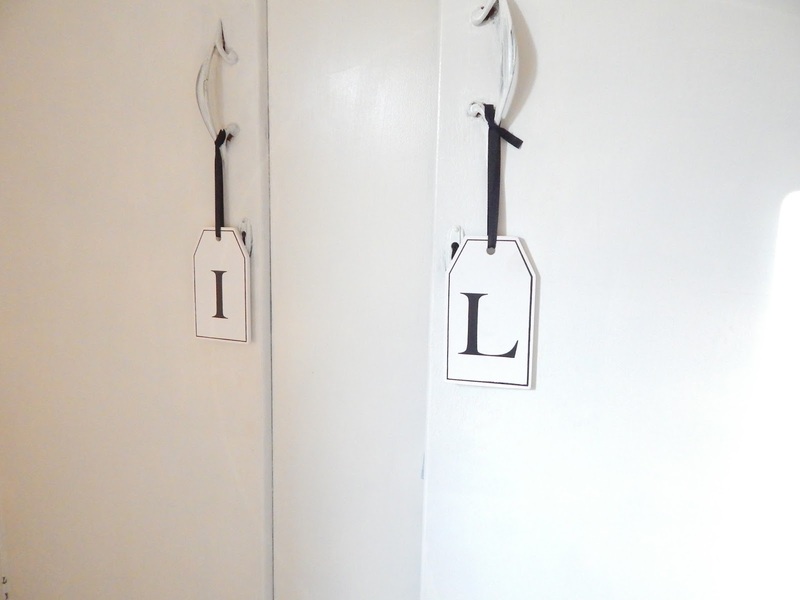 Tesco also pulled the hat outta the bag a few months back by making affordably priced Alphabet items from candles to cushions to these wooden tags that go perfectly on our side of the wardrobe...just in case we forget. Our room is very almost complete - we just need to add some wall art and mirror and it will finally be finished. 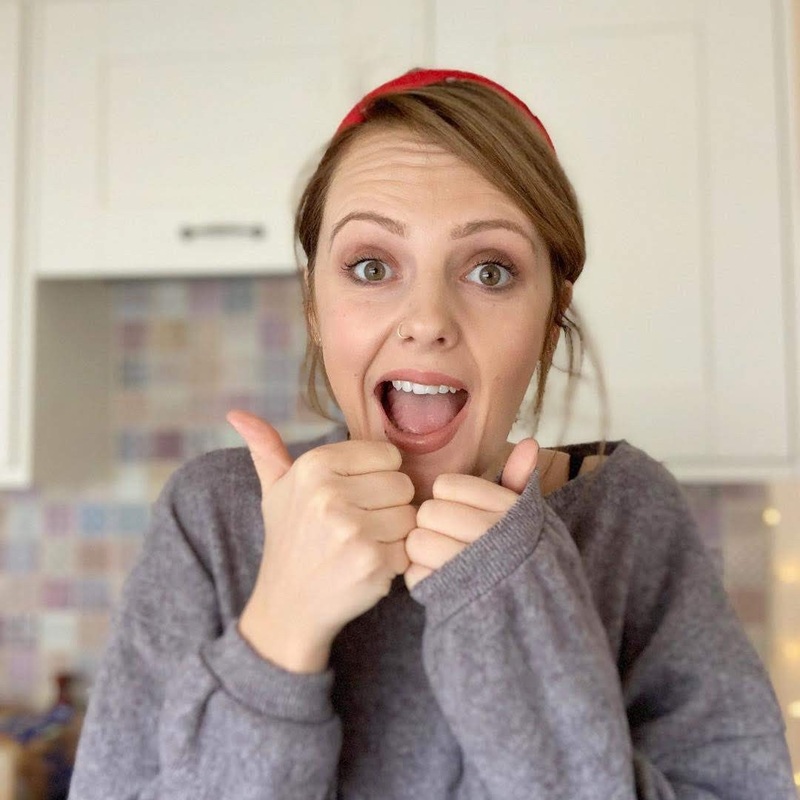 I'm thinking of writing a similar post about our living room, let me know in the comments if you'd be interested in seeing how we've styled our flat and know where we got some of our bits and bobs from. Wow!The best double glazing companies are really good for getting the best product. An agent can help the best to find the bet deal.